Rosy operated a luxury, retail-optical Cohen’s Fashion Optical, a multi-million dollar franchise out of New York City. Currently, the president of Tropical Nostalgia Inc., provider of Miami After Dark wines and gifts. In addition, she is the creator and contributing producer of Miami After Dark radio discussing socio-economic and political current events. Rosy is a 22-year, veteran educator with Miami Dade County Public Schools teaching in the immigrant community of Little Havana where she pioneered the education partnership with the Marlins Foundation, allowing them to bring resources to inner city schools. As the President of her neighborhood association, she is a leader on the Douglas Park clean-up and restoration. Rosy secured $1.25 million in grants secured for additional parks based on a serious lack of neighborhood park spaces. She has continued to sponsor placemaking projects throughout the area and locating new park spaces. Rosy believes that responsible, public use is the best method for conservation (“use it or lose it”). 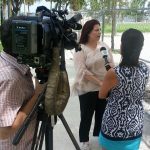 She defended the maritime and recreational boating industry with public support for the Miami International Boat Show in Virginia Key. She helped unite the waterfront community to move David Beckham’s soccer stadium concept to a better place closer to transit access. Lastly, Rosy wrote the letter that formed the basis of the eventual grant from the Miami Police Department to fund the first Virginia Key Beach community barbecue. 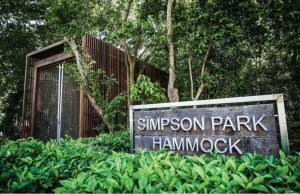 Rosy restored her own 1944 bungalow home and was also instrumental in the historic designation of Simpson Park, Miami’s only urban forest preserve in Brickell. She continues to believe that the character of a place is defined by the buildings and public space around it. The great examples should be preserved, sometimes modified but all making good economic sense. Just like these local example above, our Florida is historically, a low-tax, paradise drawing visitors, snow birds and retirees. Our Florida is also an agriculture wonder with South Florida maintaining three growing seasons due to its temperate climate. Florida’s third leg of the economic stool is the real estate development which houses our guests and residents alike. This is a legacy worth preserving.